Interior Design – This has been an incredible year for the Interiors “side” of our business. 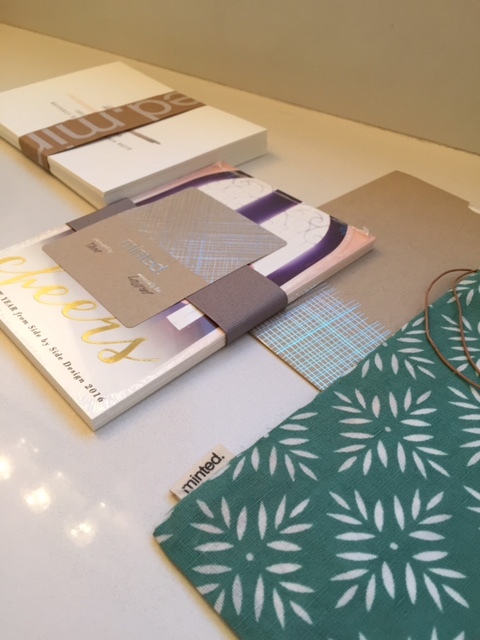 Lauren has been very lucky to have worked on lots of different types of projects including everything from “Apartment Therapy” to full construction and Interior Design both in residential and commercial spaces. We have loved every minute of seeing the finished results and enjoy having this platform to showcase our work. We have continued to include blog posts introducing our readers to the “Before and Afters” of completed projects, the entire process of her many construction projects, and various furniture and room designs. She has had many incredible projects this year (including two teen bedrooms, a few gorgeous kitchens, outdoor living spaces with unique features, a commercial office space, and lots of design consultation work in addition to her many high end projects). 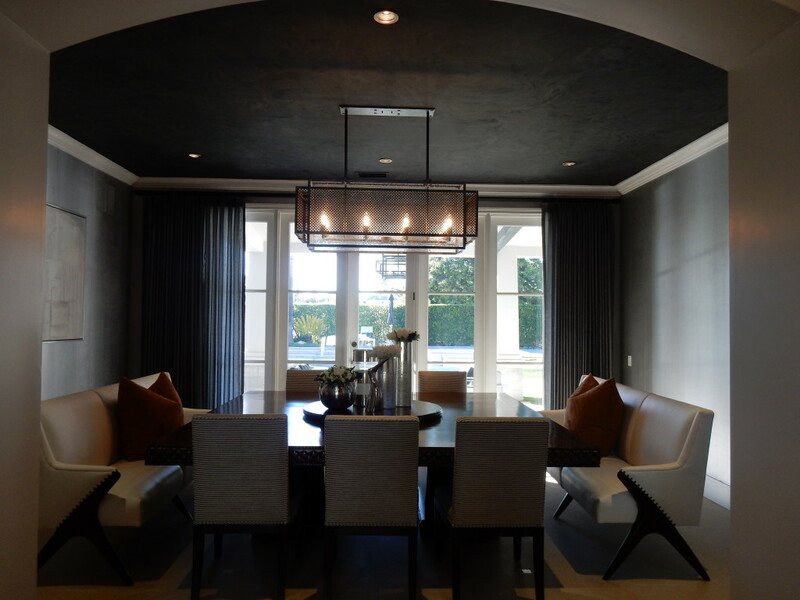 Possibly one of our favorite interiors of the year can be seen in our post, Transitional Edge Dining Room. Lauren feels very fortunate to have been given the opportunity to work on such a special project. When you are faced with a client whose aesthetic fits yours perfectly, it doesn’t feel like work. This dining room is one of the completed spaces in that very house, and we absolutely love the outcome. In the coming year, we plan to show you some other completed projects, finalize those we have in the works, and continue to take on challenges and exciting projects as they present themselves to us. Event Planning – As we have mentioned, here at Side by Side Design we have two “sides” to our business, Interior Design and at home events. Our mission is to work with a family to design their home making it fit their lifestyle and personal taste. 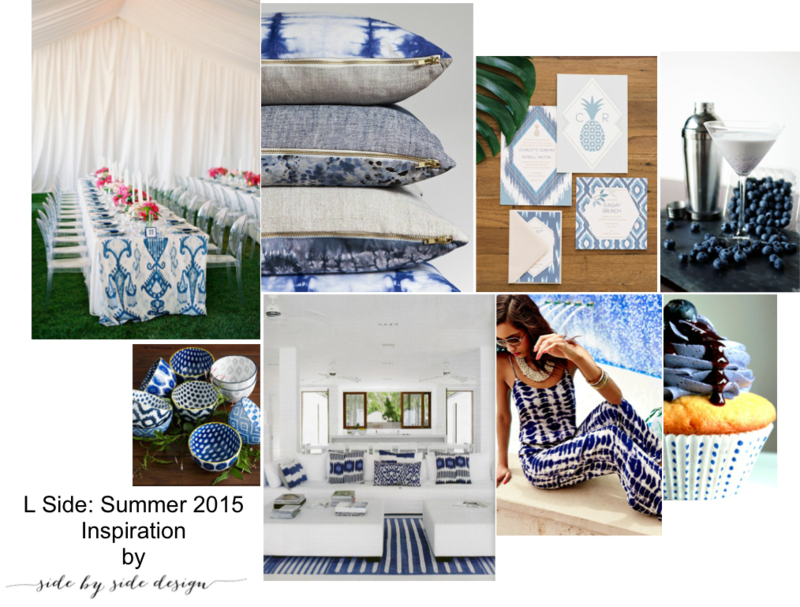 When assisting these clients with their home event planning, we not only get to continue to work with them Side by Side but get to pull from the look of their home for inspiration. This year Tami went full time on this side of the business which brought about huge change for us, as she truly had more time on her hands to focus on events. Each event she has taken on this year has been amazing and the type of clients she has been exposed to are incredible, but we only get to pick one. We selected the Vintage Bat Mitzvah Luncheon because knowing this family’s specific style which is vintage inspired helped us to pull elements from their home into their Bat Mitzvah design. We even got the chance to design this teen’s bedroom at the same time which not only works perfectly with our business model but helped us to get to know her even better. Tami looks forward to further growing the events “side” of our business this year and working to fine tune her focus as an event planner. 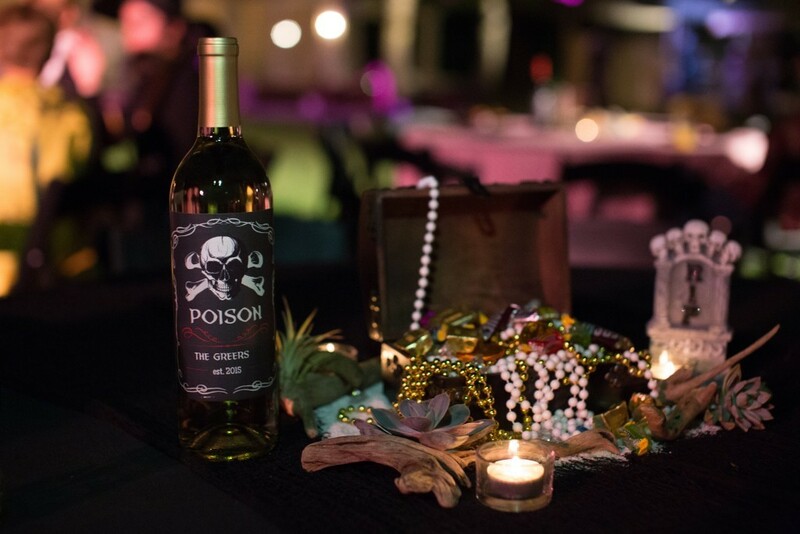 Holidays – We not only got the opportunity to work on our annual Halloween decor project this year, but created an equally awesome event for this client as well (as seen on our post: Haunted Pirates Halloween Party). We love the theme we came up with and are already planning something new and exciting for next year. 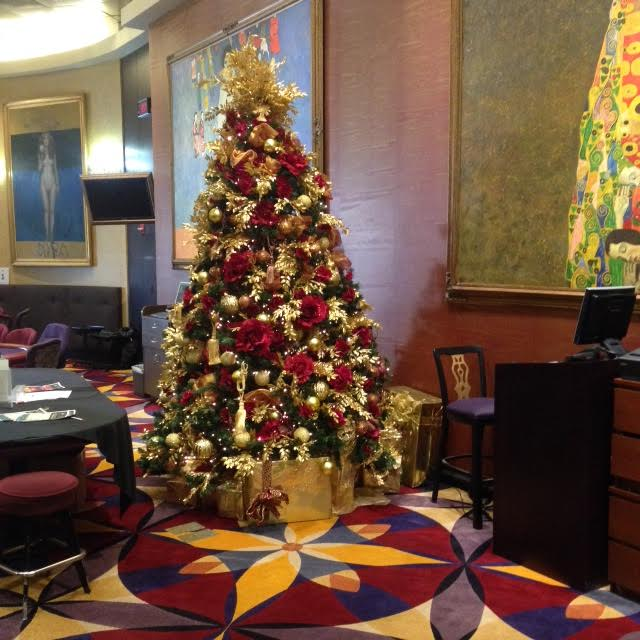 We also got our first taste at expanding this section of our events “side” in decorating a whole casino for the holidays, and hope to continue this growth through collaboration with other vendors to create memorable experiences for our clients at holiday times (including table centerpieces, home decor, festive food and treats, and gift wrap). DIY Projects – Although we have lots of amazing vendors we work Side by Side with, we have been known to create many things ourselves. Everything from flower arrangements, to gift wrap, to handmade invitations have been showcased on our blog. We enjoy putting a personal touch on each project and love doing so through handmade details. Our favorite of the past year was all of the DIY items we put together for Ava’s 2nd Birthday Party. There’s definitely something so rewarding about putting personal touches on an event for a loved one. 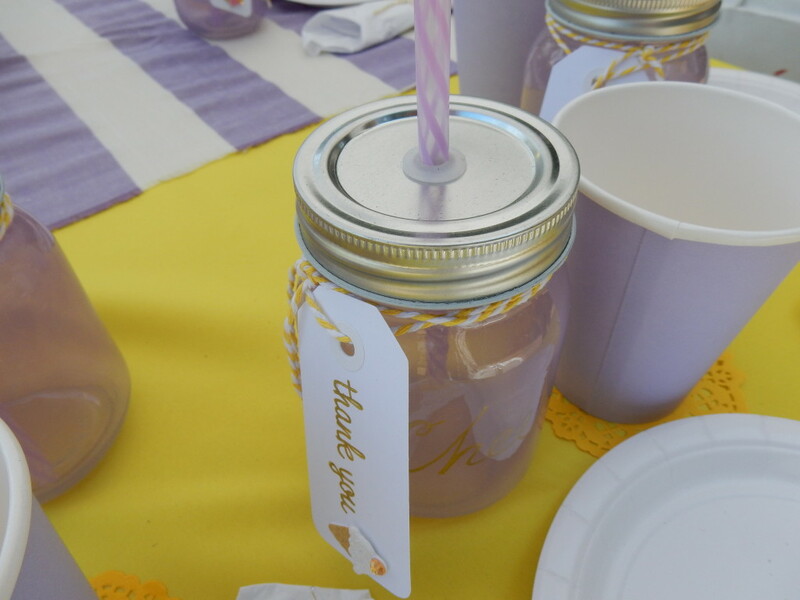 This party in particular was so much fun with all of its lavender and white, pops of yellow, and ice cream galore! 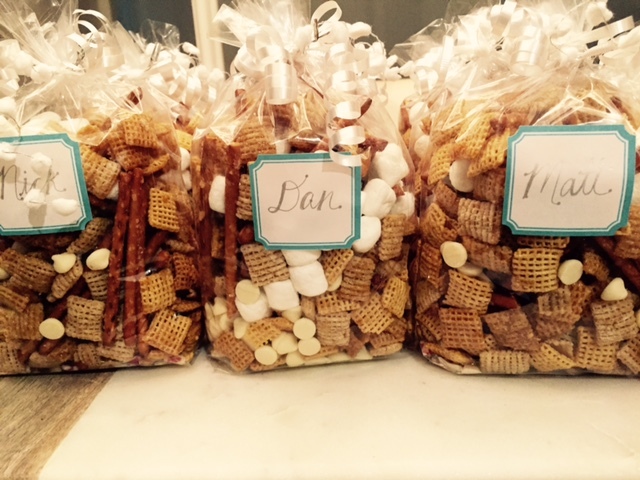 We love to create for our client’s events as well! This year, we plan to continue to create new and innovative things while keeping our client’s styles in mind. Guest Bloggers – Through our Guest Blogger posts, vendors, friends, and other creative individuals are given the opportunity to showcase their work or projects on our blog. Huge thanks go out to Kid Lighting AC and our girl Kayla for their amazing posts this year. The time and dedication they have put in is greatly appreciated. We have especially loved the collaborating we have done this year with the incredibly talented Kayla of House of Magnolias. This floral expert has written about photo shoots that she has had the opportunity to be a part of, decorating Christmas trees at a big LA casino, and more. 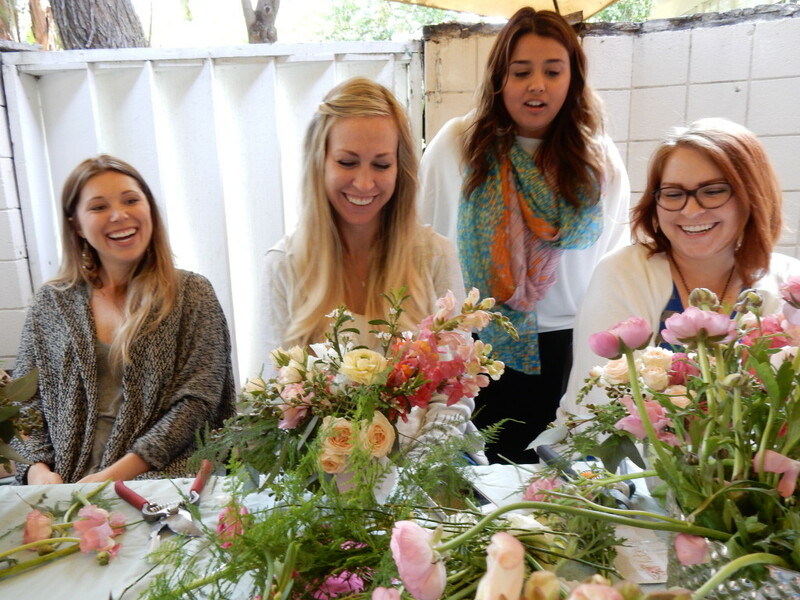 Possibly our favorite collaboration thus far was our floral workshop (as seen on our posts, Flower Arranging Workshop and Floral Tutorial by Kayla). We loved getting to learn some of Kayla’s tricks of the trade and we know our friends did too! Other than this fabulous partnership that we know will last a long time, this past year was a little lacking in the guest blogging department. Our goal this year is to reach out to more creative individuals and post one Guest Blog post each month to provide variety on our blog and inspire our readers along the way. Let us know if you would like to be our next guest blogger. We would love to work with you Side by Side. Pining For Pinterest – Our Pining for Pinterest posts allow us an opportunity to dream a little while still staying true to our business model. 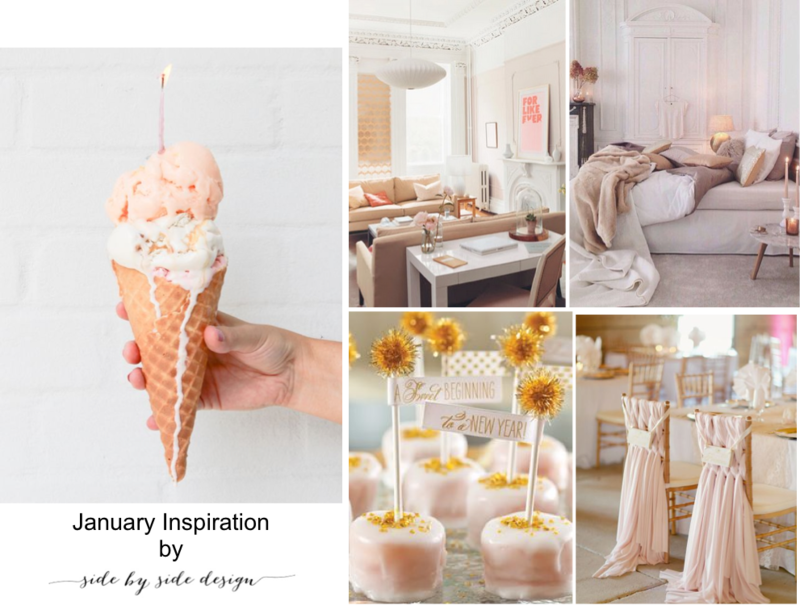 Four times a year, we share what is “pinspiring” each of us going into the upcoming season (as seen on our post Pining For Pinterest: Summer 2015). Each look showcases an event that works with an interior space as well as all of the details you would find there (signature cocktails, home accessories, delicious catered appetizers, and so much more). 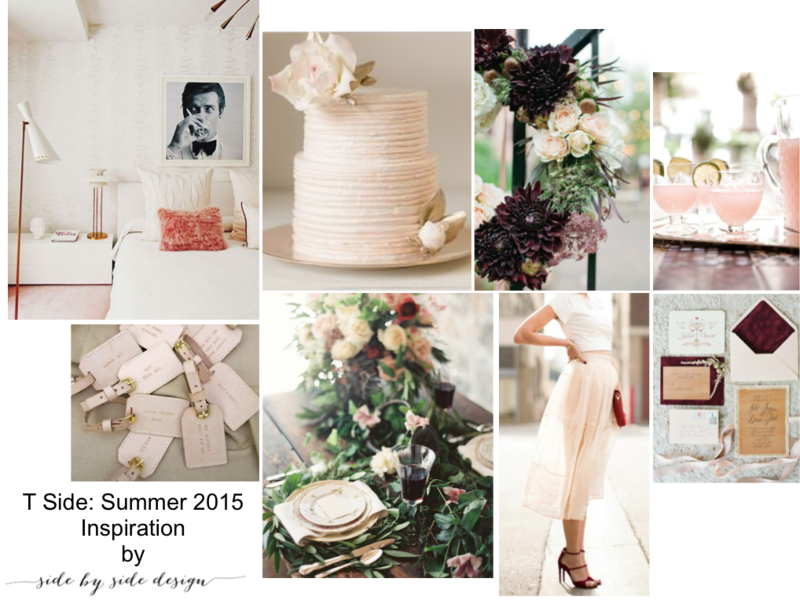 This particular post was our favorite this year as it incorporated some of our favorite trends of 2015; such as soft blush tones, lots of lush florals, indigo, and ikat. 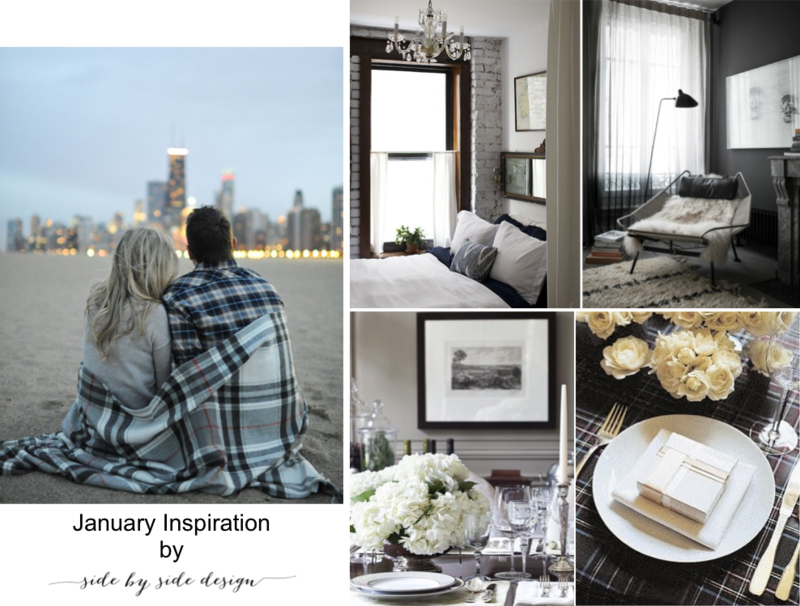 By creating these boards, we are hoping to inspire those of you who are hosting parties in your near future or those looking to do something new with their home. Don’t worry we are just a quick email away if you need our help. Email us at info@sbsdesignla.com. Get Inspired – This series features each of our inspiration photos for the month ahead along with two interior photos that follow the same look and two coordinating event photos. It gives us a chance to post what’s inspiring us each month and give a preview of what’s to come as well as really let our readers into our lives. In looking back, a personal favorite is our January inspiration (seen on our post Get Inspired: January) as it reminded us of where we were one year ago. January is also our birthday month, so go figure we picked this one! Our readers enjoy our “Pining For Pinterest” posts so much that we decided to add a new monthly feature to this series. This addition has allowed us an opportunity to fill readers in on where to get some of the fun home and event items they see on our blog. We absolutely love writing this series and look forward to looking back each month on all that has been accomplished. Check back this Friday for all new January looks and inspiration. Food Fridays – This year, we continued posting something food related every Friday as bonuses at the end of the week (We know you all love to get new recipes, and so do we!). We have several different features within our “Food Fridays” posts including “T Side / L Side” (where we show how we each have prepared a different recipe using one common ingredient), “Cooking Side by Side” (our shared attempts at making a meal), and our monthly “Cookbook Club” (written by the hostess of each month’s gathering). This last one we hope to bring back into the mix soon! 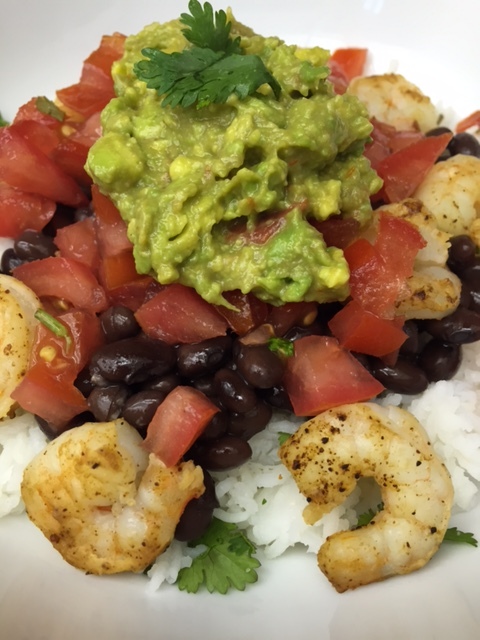 One post that sticks out is our Chipotle Shrimp Bowls for no other reason besides that they were delicious, and this recipe is definitely on our list of things to make again in the near future. In 2016, we plan to continue to invite you into our kitchens on a regular basis and encourage you to take these recipes home with you. Overall, this truly was a huge year for Side by Side Design! Last year at this time, we made resolutions to give our readers another year of exciting posts, expand upon our business clientele, and to have more focus on the types of projects that we take. We are so very proud to say that we have accomplished all of these things and that we are now both working full time for Side by Side Design. If 2015 brought all of this … who knows what 2016 will bring! 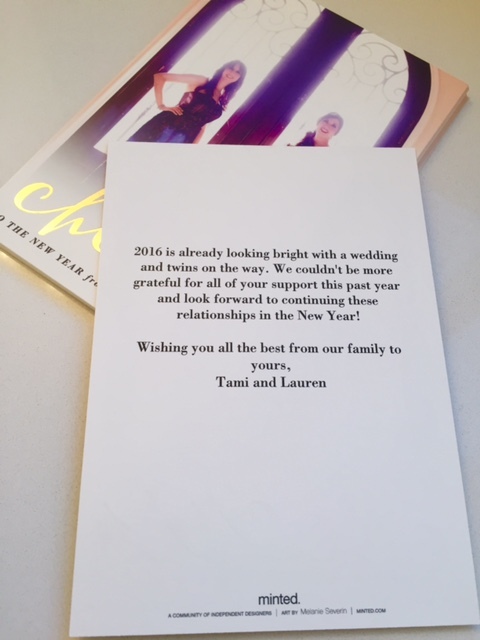 On a more personal note … We know 2016 will be HUGE (a wedding and twins)! Of course, we know that we will be using all that we have learned about the big bad world of event planning to plan a fabulous day for Tami and her fiancee, Phil and that Lauren will finally get some much needed relaxation (Probably not, but one can hope.)! We are sure all of this will make for great content for our blog as well! Another thing we have been dabbling with on our blog this past year is speaking more from a personal place. We want to be able to bring you all of the great tips and tricks of the trade and still relate on a personal level. It’s not always easy to make yourself vulnerable and to share about your life online. Our plan is to write more from one “side” or the other. Many of you (if you have been reading for a while) probably know that Lauren is more technical in the way that she shares information on our blog. She has been in the Interior Design field for a long time and she lets her expertise shine, but there is so much more to this soon-to-be mother of three girls that we know all of you working moms out there can relate to. Tami is the voice behind the blog. In fact, she happens to be typing right now! She is a bit more witty in the way that she writes and loves to tell the mushy details about how she met her fiancee and their fabulous life together … OK, now we are just getting carried away! In reality, Tami does not always find it easy to share her thoughts but hopes to relate in this way to other Brides getting ready for their big day, and as the head of our Events side will hopefully have lots of advice to share. We look forward to 2016 being more raw, more open, and lots of fun! In addition, we plan to Create . Coordinate . Collaborate in order to provide you with a full year of exciting blog posts in 2016. Our reader’s feedback truly means so much to us and allows us to continue doing what we love to do. Please take a minute to let us know your thoughts. What kinds of resolutions do you have for us? What are your favorite types of posts? What would you like to see more of in 2016? What can we add to enhance your reading experience? Any constructive criticism is welcome as well. Just push the message icon below … it’s super easy. Or if you just really “like” us a lot, you can click the heart. Your comments are greatly appreciated and will be taken very seriously. Happy New Year from Side by Side Design! 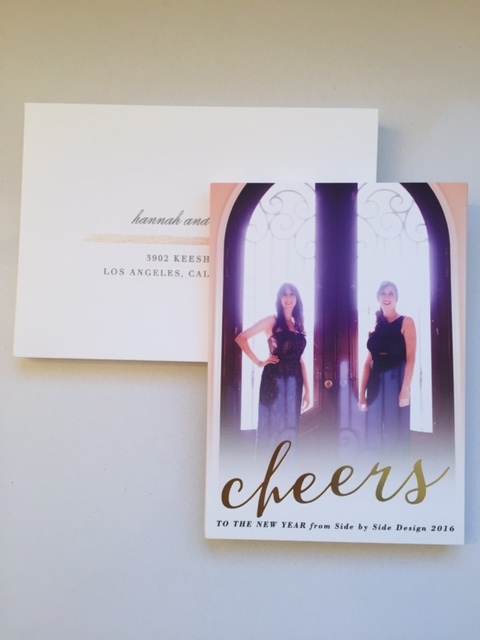 This year, we started a new tradition of sending out New Years cards to thank each of our very special clients for their support throughout the past year. The thing that we as a business pride ourselves on the most are the relationships we have with our clients. Most of them we consider more like family than anything else, and wanted to show them this through giving a special card. It is so personal especially when paired with a photo. 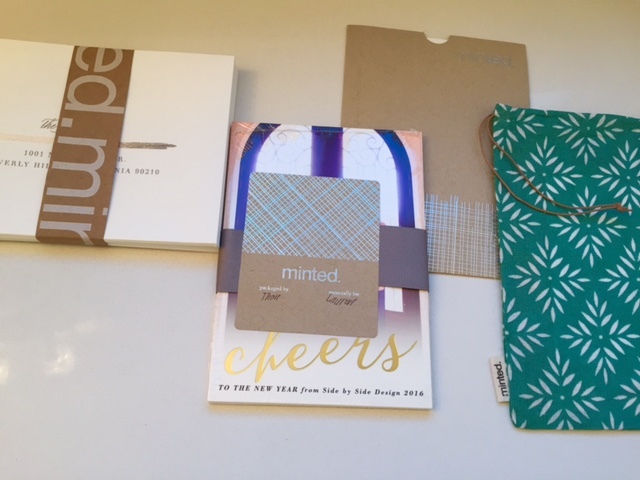 When we planned to create our card, we immediately knew we needed to use Minted. We have been beyond impressed with the quality of their product in the past, and this time was definitely no exception. In fact, our cards arrived packaged to perfection! Although they are not exactly new, we decided to use a favorite from our photo shoot (as seen on our post, Side by Side Design Photo Shoot). It is definitely not every day that you get professional photos taken so why not use them as much as possible! When put together with beautiful gold foil scrawly writing and the quality of a Minted card, they turned out to die for! 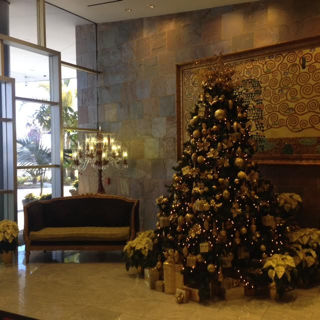 In 2016, we have so much to celebrate and we know our clients will be right there with us! 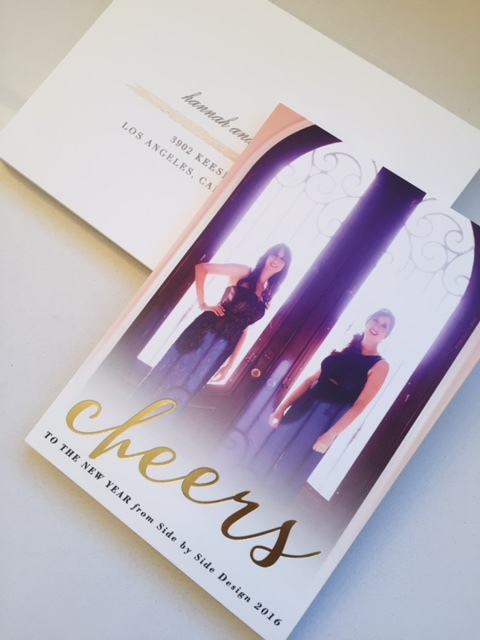 We wrote a quick note on the back of the cards mentioning the biggest things in our lives (Tami’s upcoming wedding and Lauren has twins on the way!) as well as a thank you for all of their support. We also sprung for a designed envelope with a gold touch and had them each addressed and ready to go. This was totally worth it! As we mentioned, this year will be a big one for us, and we are planning to start it out in the right way! A dinner with friends and each other is just what we need. A big thank you to our readers as well for sticking with us and for your support this past year! We are looking forward to a year full of great content to come! Happy New Year from Side by Side Design! “Mix” is back by popular demand! 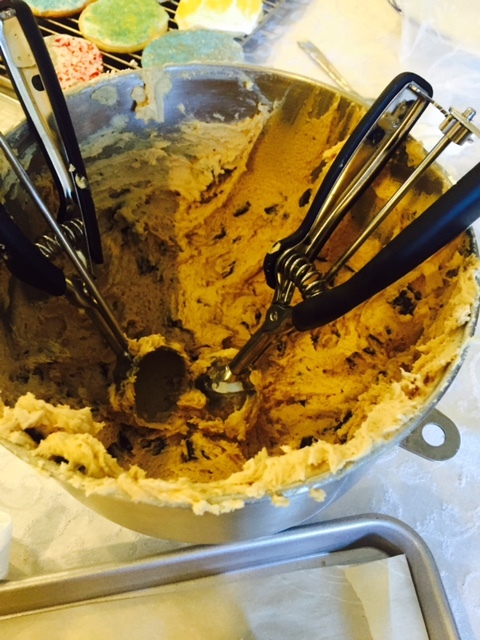 In fact, it has become our tradition to make “mix” to pass out for the holidays ever since Lauren’s mother-in-law introduced us to this amazing treat. We even have friends and family that ask for it by name and get very excited to receive their bag each year. This is not the first time “mix” has made an appearance on our blog (as you can see in our previous post, In the “Mix”) and the ingredients are not new. 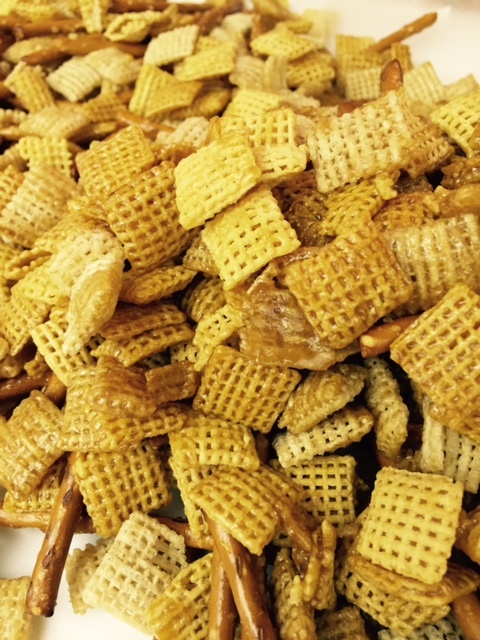 We add mini marshmallows, white chocolate chips, and crushed candy cane to a sweet Chex mix and pretzel sticks combination for the holidays. 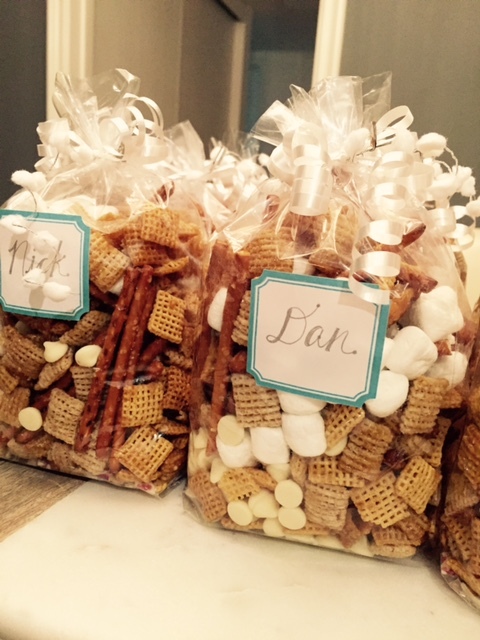 This year we also added a bit of personal flair to each treat’s bag and tag to make this year’s “mix” extra special. 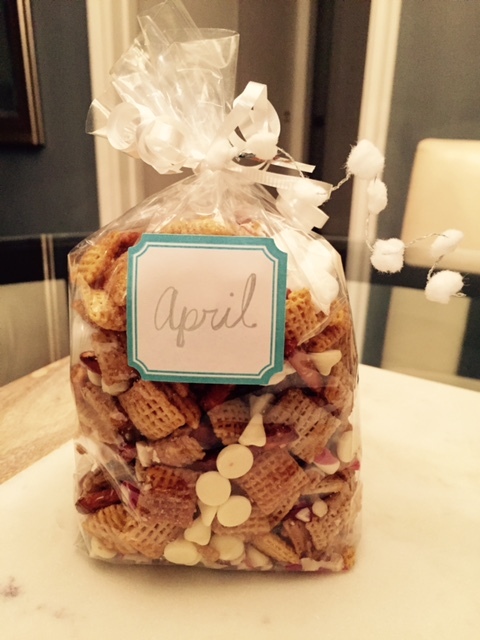 These Martha Stewart stickers were the perfect way to add a customized name tag to each treat bag. Lots and lots of curly white ribbon and a small strand of white pom poms were added as well to make each bag festive. 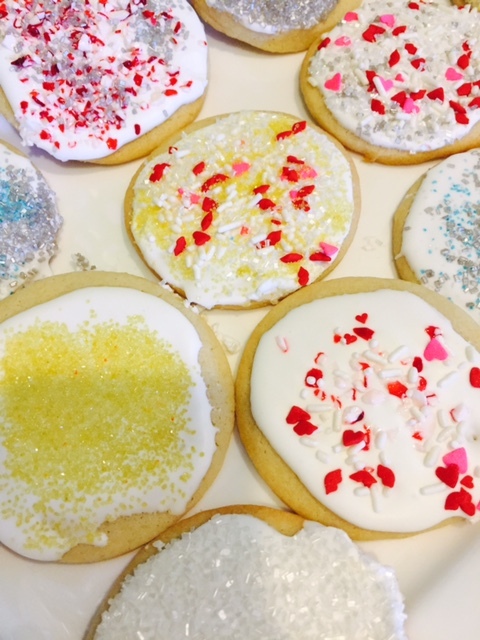 We want to know, what is your favorite treat to pass out for the holidays? Is there something a friend or family member of yours makes that you look forward to sinking your teeth into every time the holidays arrive? Feel free to comment below. We would love to hear from you. Merry Christmas from Side by Side Design! As we have mentioned in many previous posts (including Home Floral Services and Boho Chic Engagement Shoot) we have been extremely lucky to work with floral expert Kayla of House of Magnolias. With each new project, she continues to amaze us with her open mindedness to new possibilities in the realm of floral arrangements and how she puts her own spin on things each time. We are excited to welcome her back today to talk about a special project we were lucky enough to work with her on this holiday season. 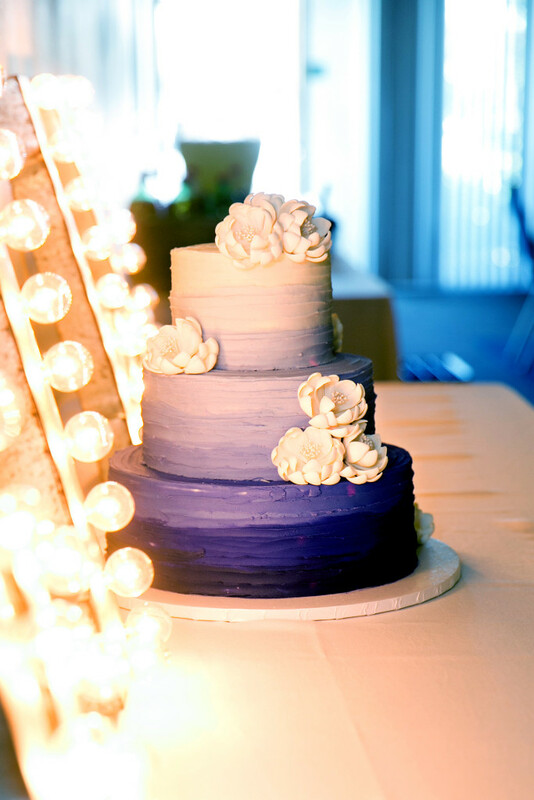 A lot of people don’t know that House of Magnolias provides more than floral design services. 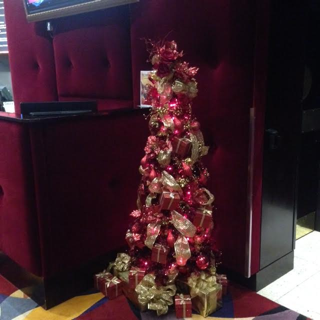 Since the beginning of my career, I have been asked more and more to decorate homes and businesses for the holidays, and each year brings more exciting projects. This year, I was lucky to work with a new client. 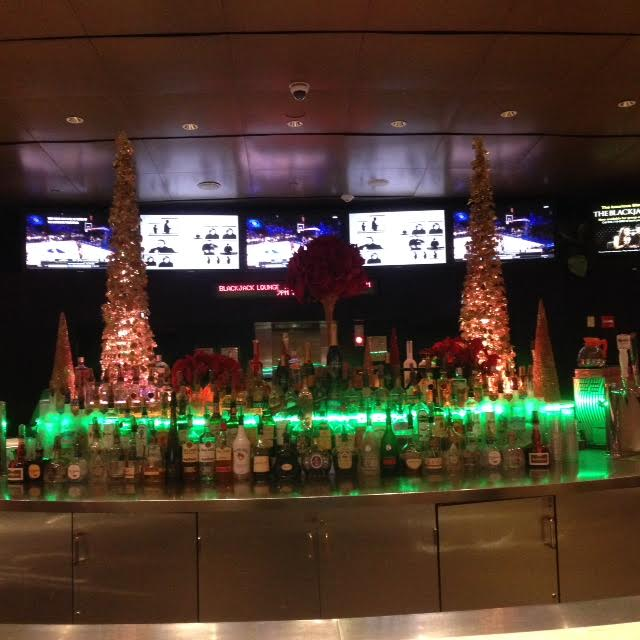 We were hired to decorate an entire casino in Los Angeles. 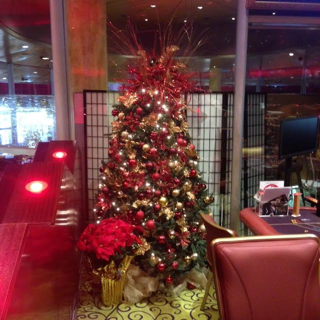 The casino asked if we would install holiday trees, garlands, poinsettias, decor and wreaths, and of course, everyone on the House of Magnolias team was excited. I was thrilled that the very talented Tami of Side by Side Design could assist us on such a fun design project. I can never turn down an opportunity to work with Side by Side Design and this was the perfect project to get together and make magic happen. Below are a few photos of some of our work. It’s been a very busy season making custom wreaths, garlands, and trees, but it has been a blessing. I want to take this time to thank the Side by Side team for an amazing year of collaboration, and to all of our clients, thank you so very much for letting us be a part of all the special moments in your lives. Happy Holidays to you all! Looking forward to many more amazing things for us all in 2016. When I think about celebrating the holidays, treats are always involved. So it definitely made me happy when Phil’s family gave us one more opportunity this holiday season to make and enjoy treats. 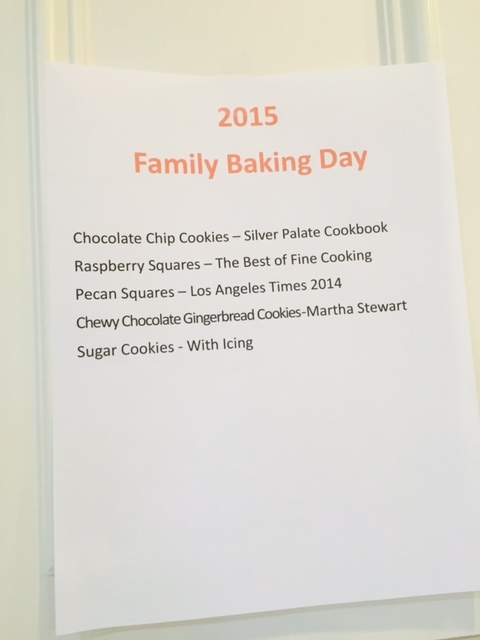 Actually, if I am being honest, I have been looking forward to his “Family Baking Day” all year. 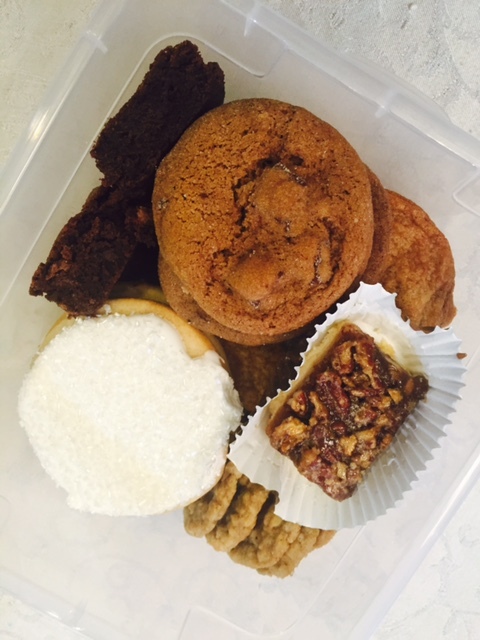 I mean, who wouldn’t want to bake tons of different types of treats and then take a bunch home to share? As this was my first “Family Baking Day”, I definitely had lots to learn. The first was that this event was no joke! Phil’s aunt and uncle (our hosts for the day) prepped all of the ingredients for each baked good ahead of time, created this list of what we would accomplish and the recipes we would use, and even put together a beautiful spread of brunch items for the family to enjoy. 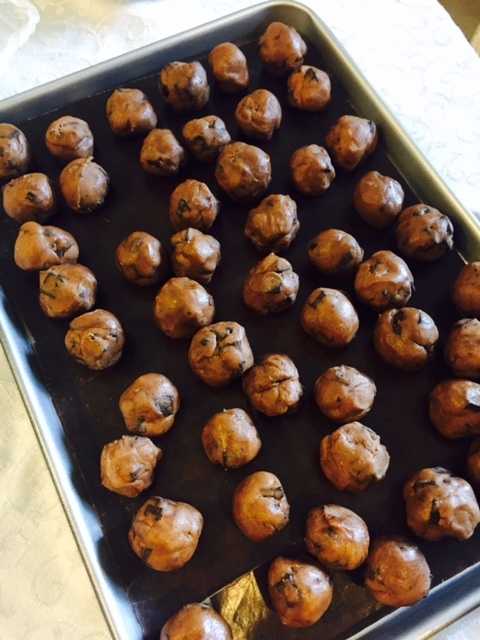 Each participant helped out by mixing ingredients for different types of cookies as well as putting them on trays in mass quantity to be put in the oven. 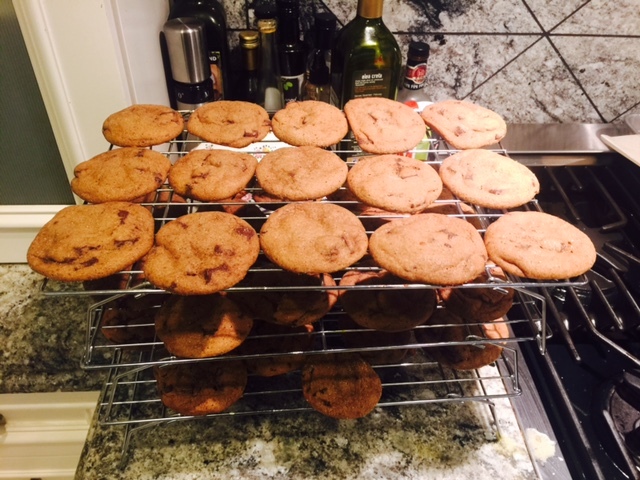 Traditional chocolate chip cookies are a family favorite and taste delicious with chunky pieces of semi-sweet chocolate. The dough was really good too! Chewy chocolate gingerbread cookies were a new addition to this family tradition and were really fun as they were covered in sugar which seemed to sparkle after they were baked. 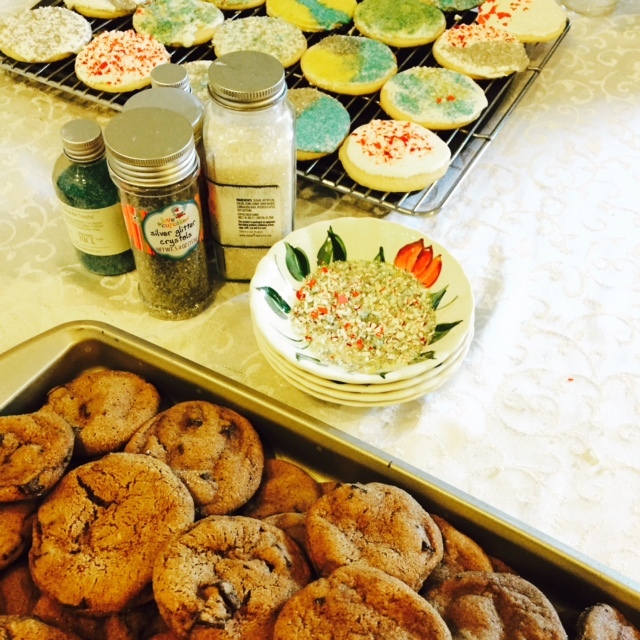 As the cookies cooled other batches went in to bake … a seemingly never-ending supply. Phil’s Aunt Wendy (our party hostess) mentioned that she had been buying sprinkles for months. She found really awesome options such as gold and silver sparkle and candy cane on her many trips to her local Home Goods. 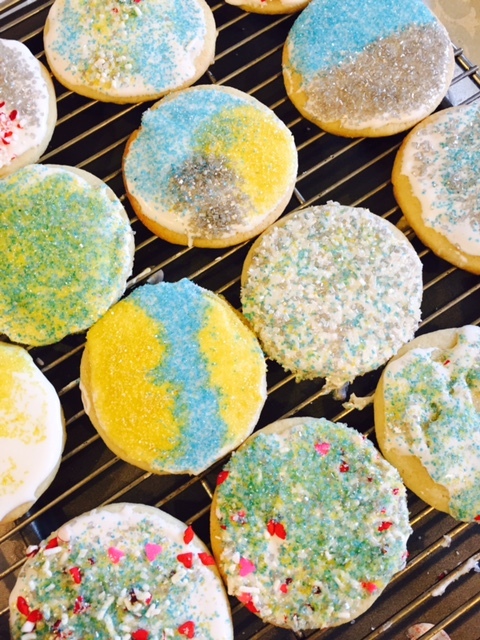 Sugar cookies were frosted and decorated to perfection with a holiday flair. This was a fun job for the more creative guests in the bunch. 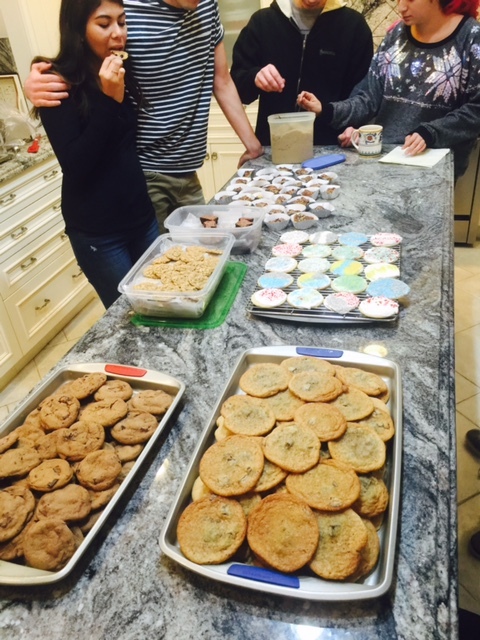 When all goodies were baked, we put them out and admired our hard work! As I mentioned previously, each guest went home with a box full of treats. Don’t get me wrong … I can’t wait to dig into our supply, but I feel like the real “treat” of the day was getting time to bond with Phil’s family. This is a new tradition for me and one I look forward to being a part of for many years to come. 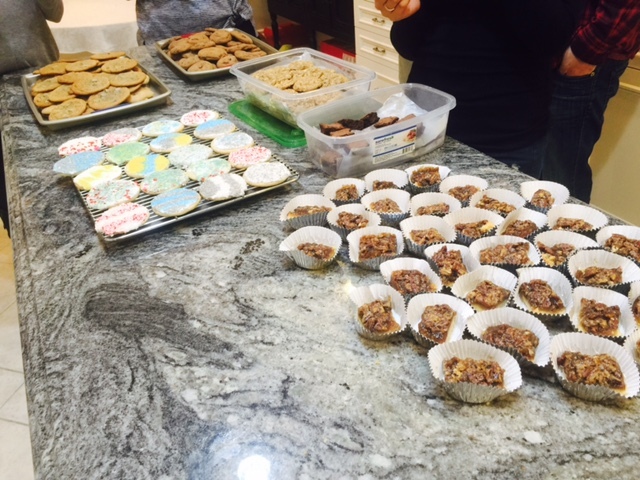 If your family has been busy baking this holiday season post your pictures with the #bakeitforward ! The Food Network has offered a $1 donation for each treat that is photographed. What better way to celebrate the holidays than by giving back to those in need. Happy Holidays from Side by Side Design!